Sometimes, you just have to sit back and collect yourself after watching a movie. These gut-wrenchingly good movies are sometimes a shock as to how great they really are, and I’ve only seen a handful of them. Normally, movies that affect me to such a degree are because of personal reasons. 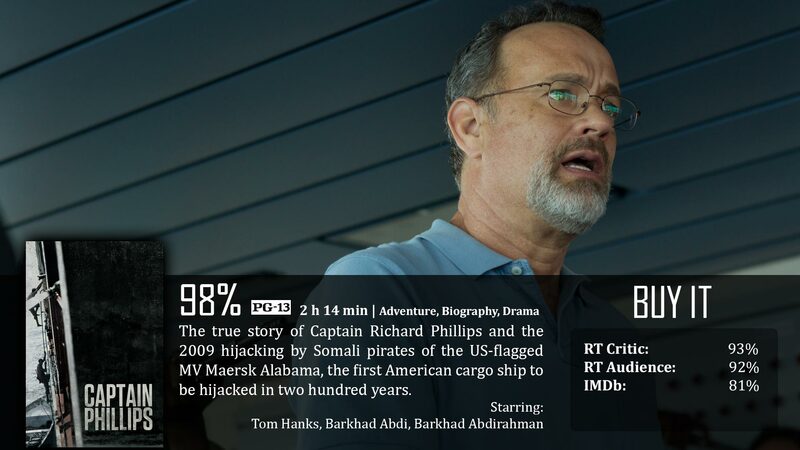 Captain Phillips is a film I’ve heard a lot of fantastic things about, but before seeing…I didn’t expect much out of. I’ve never been a fan of on-the-water thrillers or even true stories. The only source of interest I initially had from this film was the very fact that Tom Hanks starred. The man can act, and I enjoy almost everything he does, and I cannot begin to describe the happiness I have right now with my decision to watch this unbelievably emotional roller coaster. I wish I would have seen this last year, because it would have without a doubt met my Top 25 list of the year. This film is about Captain Richard Phillips, who has a mission – he is sailing the Somali boarder on route to Africa to feed starving families. There has been recent word of escalating piracy in the area. Somalian pirates taking over ships in the sea, and Phillips is worried. He makes sure to follow all of the proper procedure, but without weapons and being in the middle of nowhere, his ship is doomed to fall victim to these pirates, who eventually climb on board and take him hostage. Like I said, I’m not the biggest fan when it comes to movies with a water setting, but I couldn’t believe myself as I was just dragged into the suspense and action of the film. I was honestly blown away. There is a lot of perfection in this film, and very little to actually complain about, so we’ll start with the negatives just to get those out of the way. First, this is partially a foreign film, and for an action film you may find it a bit frustrating trying to pay attention to the nonstop action and suspense while reading what’s actually being said. You basically have a choice of reading or watching the movie, because a lot is going on. Thankfully, that’s not a huge issue, though. 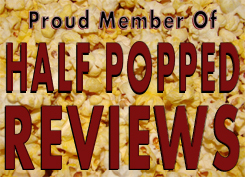 Another problem I saw with the movie was the rare occasions that the film could have been shorter. It’s a long film, and there scarce moments in the film that you might believe didn’t have to be drawn out. Again, they are scarce, and if you’re like me, you won’t really notice as much because everything else in the film is near perfection. I first want to point out that the cinematography is beautiful all on its own, and that’s the first thing that you notice as the film begins. You then start to realize how amazing Tom Hanks really is. His years in the business show off brilliantly here, and it just builds and builds. Every scene, every emotion, Hanks proves himself over and over again until his last scene in the movie…which is an explosion of talent, explosion I say. I’ve seen him in a lot of things, for sure, and I am still amazed. His character’s transformation from beginning to end is insane, and if I could call it right now, Tom Hanks is the best actor of 2013. At least three quarters of what makes this film amazing is Tom Hanks, so bravo, sir. The other parts of what makes this movie so great is its patriotic side. When it comes to movies, very little does my faith in our country play a part in my score. However, the U.S. Navy is portrayed brilliantly here, and the mere fact that this is all a true story takes that fact and magnifies it ten-fold. There is a specific system of how things are played out in the film (and I would suppose in real life) that is nothing if not awe-inspiring. Somehow this film took elements I usually don’t care about in film, turned them around, and made me love them. Captain Phillips is gut-wrenching, heart-pounding, emotionally unforgiving, suspense-ridden, and carried by an unforgettable and legendary performance by Tom Hanks. Barely anything worthwhile to even mention here, so I won’t. Captain Richard Phillips: Listen up, we have been boarded by armed pirates. If they find you, remember, you know this ship, they don’t. Stick together and we’ll be alright. Good luck. Definitely a powerful film. I think there are some flaws, but I agree it is very good. And Hanks is amazing. Good review Dave. One of my favorites of the year, if mainly for Hanks’ performance. Especially those last few minutes he has on-screen. Some really emotional stuff right then and there.